Few video game fans haven’t heard of Rockstar’s Grand Theft Auto series as it’s one of the most popular of all time, with some of these games being amongst the top-sellers of the action-adventure video game genre. So it’s not surprising that GTA V, the latest game in the franchise which came out back in 2013, has broken another sales record as the game has now shipped 70 million copies to date making it one of the best-selling video games of all time. 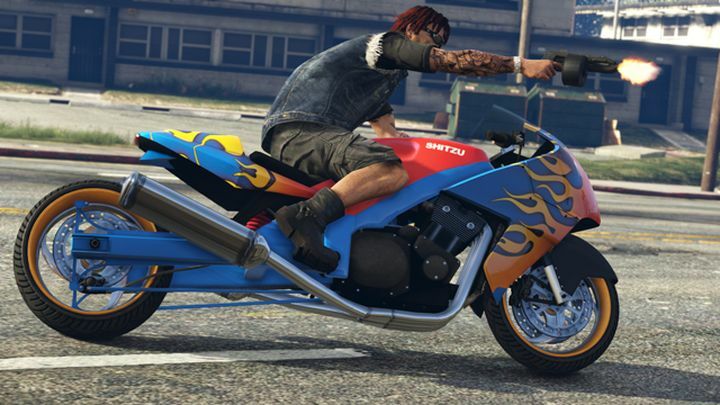 Actually, only three other video games currently beat GTA V when it comes to sales numbers. One is Wii Sports, the darling of Nintendo’s old Wii console, which shipped more than 80 million copies, and indie sensation Minecraft, a video game property which Microsoft acquired for more than 2 billion US dollars back in 2014 and which has already sold more than 100 million copies to date. And of course, there’s the classic puzzle game Tetris which is the king of video game sales to date, having shipped a whopping 495 million copies since it was released in the 80’s. GTA V’s sales are no doubt impressive, though, and the game’s publisher Take-Two Interactive also revealed that its earnings are on the rise in a recent earnings call. As reported on Game Informer, second quarter earnings for the American publisher are up more than 20 % to $420 million US dollars. Obviously Grand Theft Auto V has been a big part of this, but Take-Two’s recent success also had to do with the popularity of that game’s online component, GTA Online, which has grossed more than $500 million to date and appears to be becoming increasingly popular, with developer Rockstar adding new content to it on a regular basis. Other video game series in Take-Two’s portfolio have also contributed to the good earnings numbers, including NBA 2K17 and the latest Civilization game (which turned out to be one of the best yet), and also the rather underrated Mafia III and the remastered edition of The Bioshock Collection, which beat expectations according to Take-Two. But even though GTA V might have reached another sales milestone, it is highly probable that its sales numbers will continue to grow given the game’s popularity and the success of GTA Online, but will it eventually become the best-selling game of all time? This remains to be seen, but for the time being it is clear that millions of players are still having plenty of fun living a fantasy life in the game’s city of Los Santos, and that more players are likely to join in the fun in the near future.